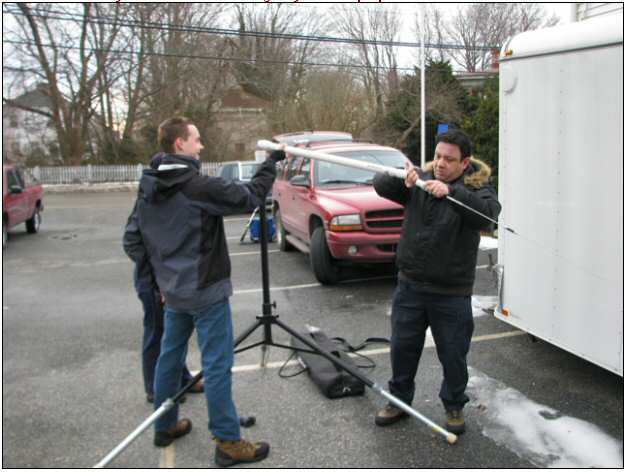 Members of Cape Cod ARES® led by District Emergency Coordinator Frank O’Laughlin, WQ1O conducted a very successful winter emergency communications exercise on January 24, 2009. “Operation Ice House” involved efforts on the part of ARES members in several locations across the Cape and Islands, including two hospitals. According to O’Laughlin, “the exercise was designed to practice net operations, NTS traffic handling, liaison operations, as well as tactical messaging techniques.” Voice modes as well as Winlink were utilized during the event. The effort garnered great publicity, too: the Cape Wide News web site carried a feature article that included over a half-dozen photos of the staff and equipment. Previous Article WGBH Channel 2 Analog To Continue Transmitting After DTV Switch?